All of this started with HHH Secretary Tom Price and if the revelation that he spent $400,000 on private flights. 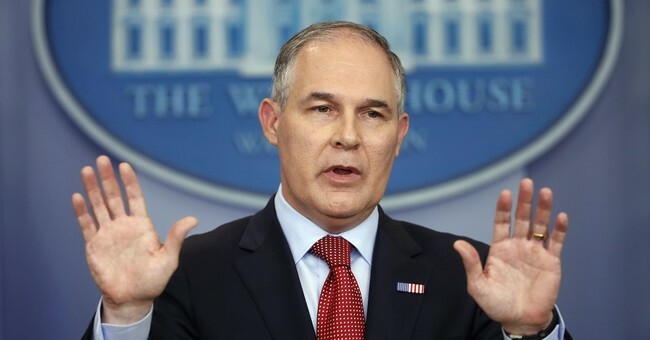 Now people are talking about the EPA Administrator Scott Pruitt taking a number of noncommercial flights. A source tells me it was four flights in total. The only charter flight was one between Denver, Colorado and Duragno. This was after the commercial flight on United Airlines that the Administrator was booked on, was delayed for eight hours and he would have missed this event in a mine had they not chartered the flight. They also asked the Governor of Colorado if they could jump on his plane. They were initially told there was no room. And then after they chartered the aircraft, the Governor said well we've got one seat, which still wouldn’t have been any good. The Administrator could’ve flown but his staff wouldn’t have. The other flights were government flights. One was a military flight from Cincinnati to JFK so the Administrator could jump a commercial flight to Italy … so that he attend the G7 Summit...All of that was cleared by the EPA office of ethics. So they're saying this is not a Tom Price situation, this is completely different. "No excuses here. Can't put lipstick on a pig. It's a pig."